Any individual who has reason to believe that a compliance issue exists can and should report said issue to the University's compliance officer. 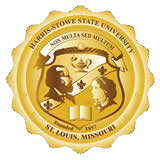 The compliance officer can be contacted by phone at 314-340-3544 or through the compliance inquiry form at http://my.hssu.edu/go?complianceInquiry. All communication with the compliance officer will be confidential. University policy prohibits retaliatory actions against individuals making a good faith report of possible unethical conduct.